The weekend of the 2017 Downer NRL Auckland Nines is just around the corner. The Waitangi weekend extravaganza will see thousands flock to Auckland city to be a part of the carnival atmosphere that happens at one of the biggest parties of the year. 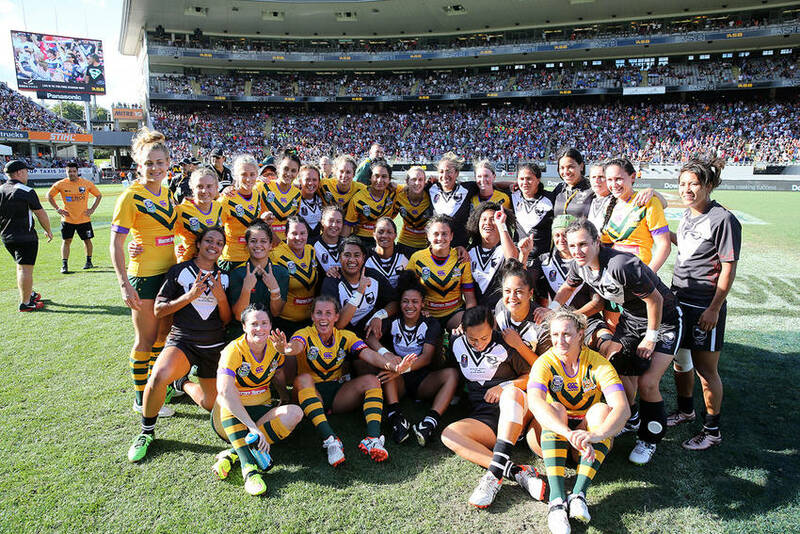 Auckland will be a hive of activity both on and off the field as our favourite NRL superstars head to Eden Park to battle it out against Australia in this two-day knock-out tournament. Thirty-one short games with nine-minute halves will mean more speed and more fun in this action packed event. 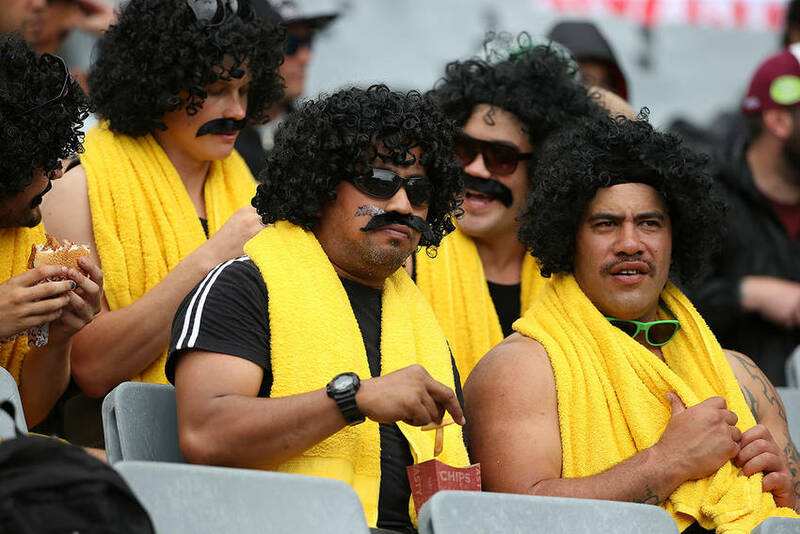 The NRL Auckland Nines is expected to attract over 80,000 fans. With a crowd of this size and the carnival-style atmosphere, arranging responsible transport is a crucial part of enjoying this event to its full potential. The last thing you want to worry about is how long it will take you to beat the traffic and who is going to drive! Having been a popular transport choice for the NRL Auckland Nines in previous years, Party Bus is ready to do it all again in 2017. At this stage, you will most likely have organised for someone in your group to be the driver for the weekend. Whether it came about through a game of Paper, Scissors, Rock or that person kindly put their hand up to do it, this won’t be a lot of fun for whoever drew the short straw. Where to park, the distance to the venue, battling the traffic – these are all the things you will need to be thinking about now if you want to make things slightly easier on yourself. Or you could just hire a Party Bus. Let us take care of all the pre-planning for you, so you and your friends can all just relax and enjoy the fun. The Party Bus fleet ranges from standard to luxury and suits groups both small and large. Each bus offers something unique, and it sure beats having to take your own car to one of the biggest events of the year. The Rock Party Bus – imagine travelling to the NRL Auckland Nines in a fully licensed venue with a personal host, dance floor and sound system – what a way to warm up! Seating up to 41, The Rock Party Bus lets you create your own party atmosphere before you even arrive at the event. Double Decker – sometimes we just wish we could invite everyone. Well, now you can! The Double Decker can seat a huge 75 guests over two levels. The great sound system and LED mood lighting will be sure to provide non-stop entertainment the minute you step on board. Premium Party Bus – the only BYO bus in the Party Bus fleet. The fully-licensed Premium Party Bus offers a great sound system, dance floor and party lighting. You can also seat up to 35 in the social-style seating. 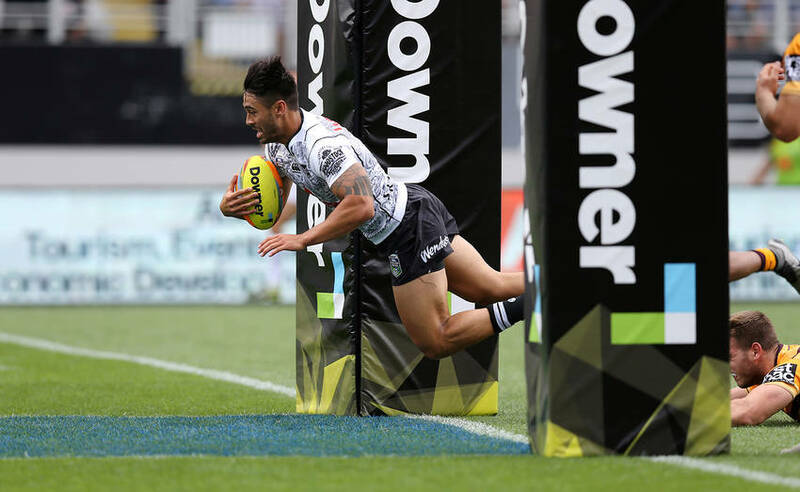 The NRL Auckland Nines is no doubt an event you have been looking forward to all year. So do away with those traffic woes and book a Party Bus today. We have two luxury vehicles in our fleet that make fantastic party venues for pre and post-NRL Auckland Nines fun. The only problem is that you might never want to get off. The Ultimate Party Bus – with the capacity of a coach and the comfort of a limo, the Ultimate Party Bus will not disappoint. This fully-licensed luxury vehicle comes complete with a personal host, lounge-style seating, great sounds and party lighting. And while you party to your heart’s content, the onboard toilet will ensure there are no unnecessary stops. The VIPER Luxury Party Bus – you want the x-factor? You’ll get it with the VIPER Luxury Party Bus. With enough space to mix and mingle, this limo coach is like nothing you’ve ever seen before. Fully-licensed, luxury lounge seating and three LED screens are just some of the many VIP features this amazing coach has to offer. 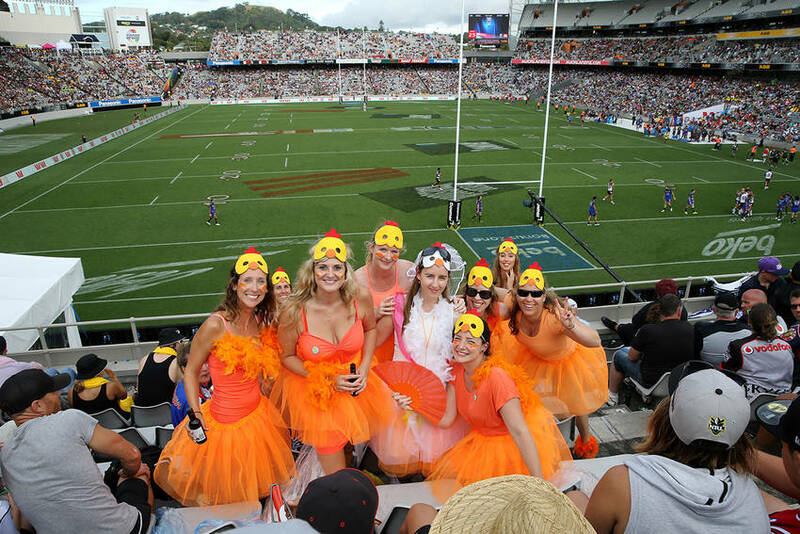 Without the passion and support of the fans, the NRL Auckland Nines would cease to exist. 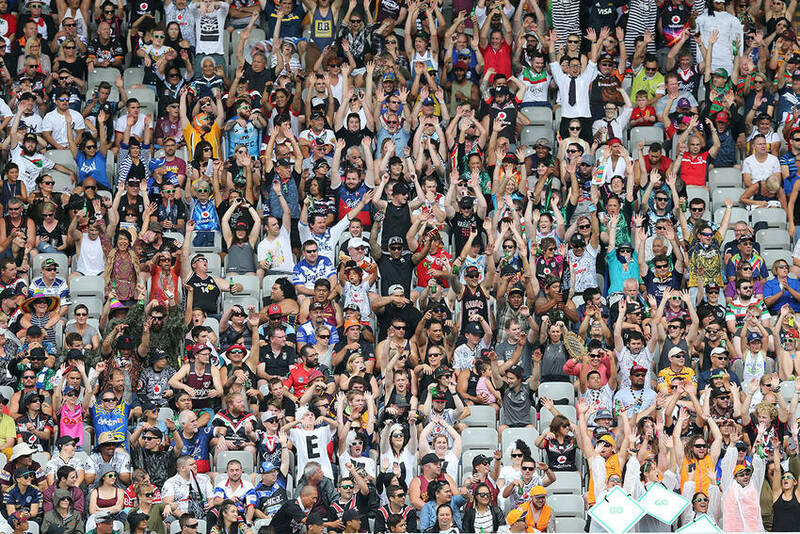 The colourful costumes, cheerful attitudes and contagious excitement are just some of the many ways that the fans make it the wonderful weekend that it is. Arranging responsible transport is an important part of ensuring you have a great time at the NRL Auckland Nines. Getting to and from the venue safely lets you create vibrant memories that will have you coming back for years to come. So gather your mates, get your costumes sorted and book your transport with Party Bus today. Once that’s done, you’re all set to go!